Senator Thayer (R – Grant, Kenton, Owen, and Scott Counties) had some harsh words about prison gerrymandering in Kentucky: “the core of redistricting… is ‘one person, one vote’ and this [prison gerrymandering] is flying in the face of that.” Senator Thayer, then-co-chair of Kentucky Task Force on Elections, Constitutional Amendments, and Intergovernmental Affairs, was one of the most vocal opponents of prison gerrymandering at a November 27, 2012 hearing on BR 219, an act to end prison gerrymandering in Kentucky, introduced by co-chair Representative Owens (D – Jefferson County). 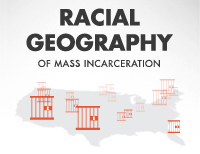 I just had the opportunity to review the tape recording of the hearing and found a lively discussion of prison gerrymandering. Kentucky is one of the few states still redistricting their state legislature after the 2010 Census, and Task Force members from across the aisle joined the Senator in expressing dissatisfaction with the way prisons skew representation in the Kentucky legislature. Senator Thayer cut right to the chase in pointing to the Census Bureau’s role in the problem, saying that “it seems like we, here at the state level, have a mess to clean up created by the federal government.” As the Census Bureau drags their feet, and Kentucky takes up redistricting again in the new session, the state should take the opportunity to address prison gerrymandering. 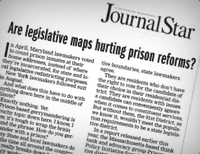 Judge rejects Senators’ lawsuit, says law ending prison-based gerrymandering must stand. Legislature further postpones implementation of law. Coincidence? Wow, I love seeing bi-partisan support to end prison gerrymandering. There are some good folks in Kentucky.